TeamOne Logistics has a unique business model. What we provide is distinctive. We are a long-term enhanced alternative to the driver staffing/leasing companies the transportation industry has endured for too long. When you need Logistical Services in Pennsylvania, you want to choose TeamOne Logistics. 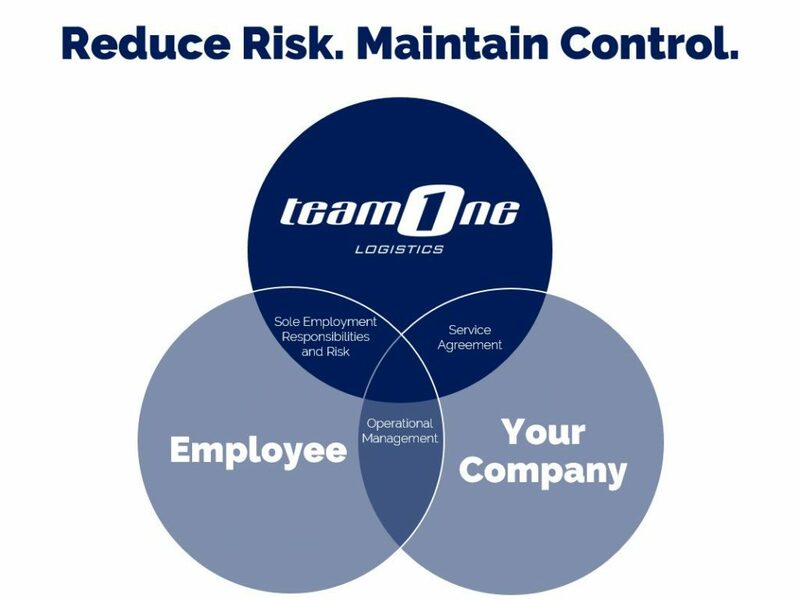 TeamOne Logistics has a unique “employer of record” partnership model which eliminates most liability for the end customer while creating savings and flexibility without loss of operational control. Our integrated workforce solution also leverages logistics recruiters located throughout the U.S. to help fuel growth. Here at TeamOne Logistics, we are proud to offer our logistics staffing solutions to the great state of Pennsylvania. With almost 13 million people calling Pennsylvania home, there is a large number of hardworking professionals ready to positively impact excellent businesses. We have had great success in Pennsylvania, matching the right employees to the right employers. Cities such as Philadelphia, Pittsburgh, and Harrisburg are bustling with a culture and a people that we love being able to work with! With a National presence of 800 employees currently operating with clients in 87 locations across 29 states, TeamOne Logistics has all the Pennsylvania Logistics Staffing Solutions that any business could desire. We are not a staffing agency, but a solution to solve all your Pennsylvania logistics staffing needs with expert recruiters and trainers located throughout the US and a combined 300 years of logistics industry experience. For the state of Pennsylvania, workers’ compensation laws are fairly simple: if you have employees you need to have workers’ compensation insurance. This type of insurance is required to protect both employers and employees. Employers are protected from employee lawsuits, and employees are provided benefits should they become injured at work. These injuries could include medical care, temporary disability benefits, and even monetary compensation if the employee is unable to work for a period of time. Workers’ compensation in the trucking and logistics industries can often be complicated and time-consuming to obtain. TeamOne Logistics understands that Pennsylvania companies don’t have time to spend worrying about workers’ compensation insurance, which is why we take on all workers’ compensation liability with first dollar coverage. This eliminates the risk from your company and means that any future claims and deductibles are our responsibility. TeamOne Logistics is an equal opportunity employer. No applicant will be excluded from consideration for employment on a basis prohibited by local, state, or federal law. Applicants requiring a reasonable accommodation in the application and/or interview process should notify a representative of the organization. Candidates for PA staffing solutions employment can contact TeamOne Logistics at (770) 232-9902 between the hours of 8 A.M. and 5 P.M Eastern Time. Candidates can also contact us by email at careers@teamonelogistics.com.